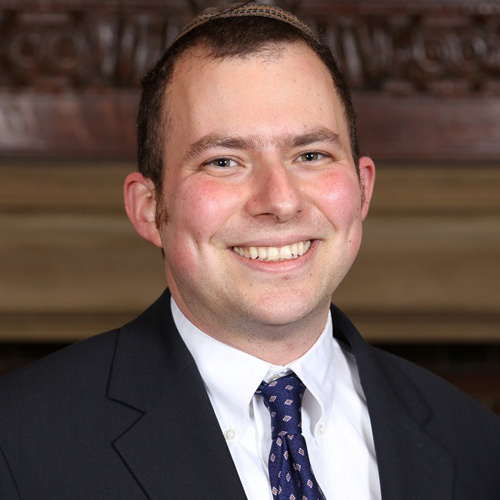 David has a BA in Intellectual History from Harvard University and has completed graduate level coursework in Jewish History at Yeshiva University’s Bernard Revel Graduate School. In addition to learning at YCT, David was a student for two years at Yeshivat Hamivtar and for one year at Yeshivat Har Etzion. For five years, David directed, together with his wife Sara, the Orthodox Union’s Jewish Learning Initiative on Campus at Princeton University. In addition, David has been a member of the faculty at the Drisha Institute for Jewish Education in New York City and has served as “summer rabbi” at New York’s Lincoln Square Synagogue. David is an officer of the International Rabbinic Fellowship and served for 3 years on the executive committee of the Rabbinical Council of America.